Nobody can deny that kayaking is the first-rate can-not-be-ignored experience during Halong Bay tour. While sitting in the small kayaks, striking the paddle on the clean blue water, every tourist can immerse in the spectacular beauty landscapes and enjoy fresh air from the sea. Tourists will feel like to be lost among thousands of limestone caves and islands together with the immense sky and water. 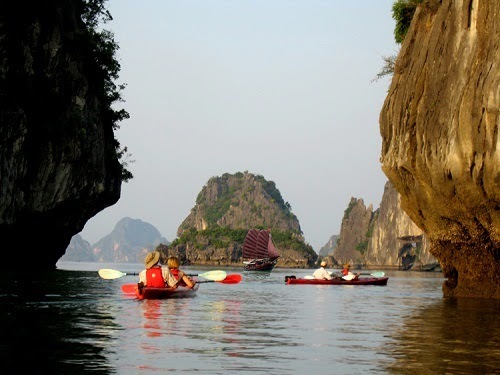 In 2000, National Geographic Adventures listed Halong Bay as in top 25 of the world tourist spots for kayaking. Escape from the hustle and bustle of the downtown, the peaceful fishing villages in Halong Bay are the ideal stop-over for every visitor. 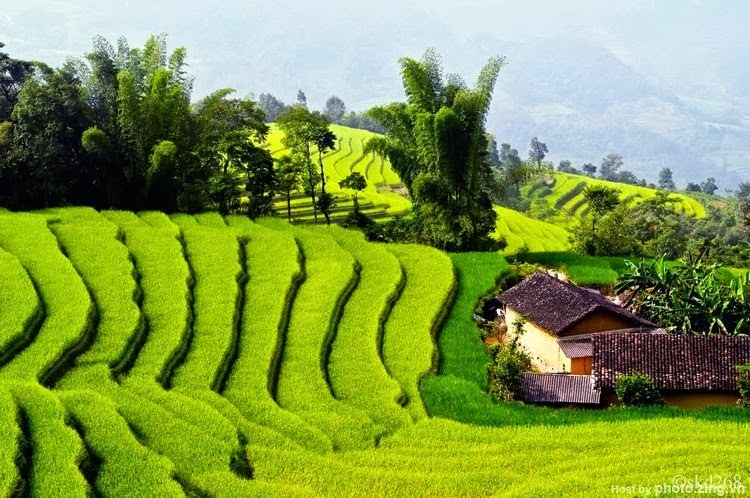 Some of well-known tourist-fishing-villages for your experience are Vung Vieng, Cua Van, Ba Hang. 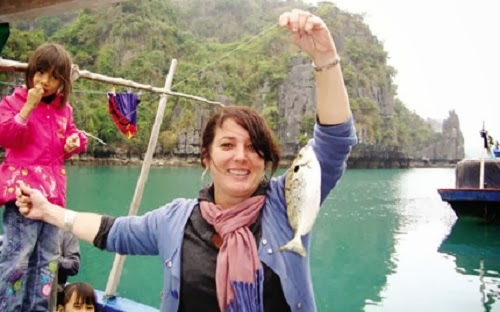 Visiting the fishing villages offers visitors opportunities to experience the locals’ daily life by taking part in their activities like fishing and cooking the fresh seafood. You will ease your mind to explore a different Halong Bay. 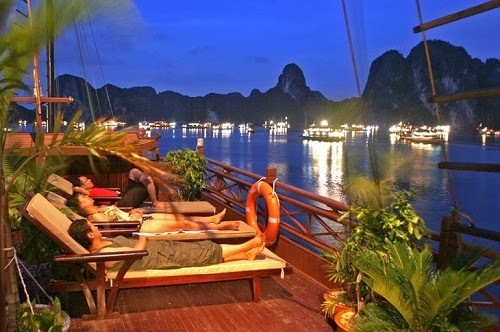 Vietnamese tourists often pick one favorite hotel or resort in Halong to book a night room. 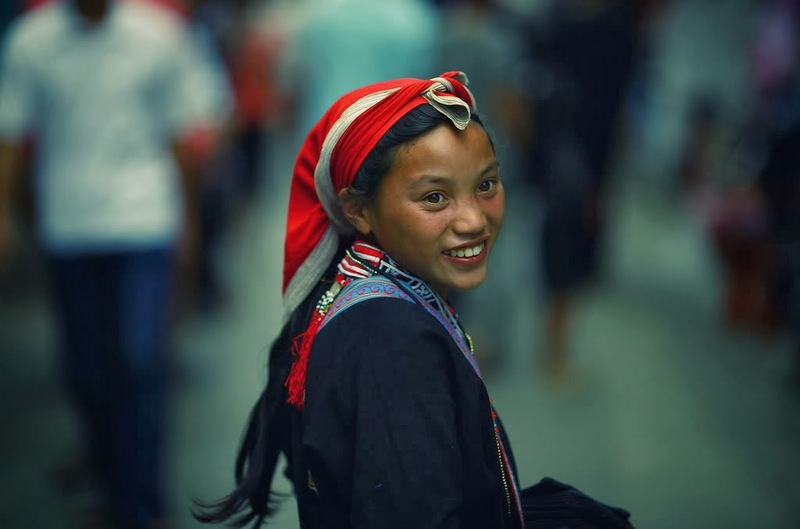 On the other hand, the foreign ones prefer over-night sleeping on board (joining Halong Cruises for over-night on board)..
Cruise boats can be regarded as a mini-hotel with well-equipped cabins/rooms. Air-condition, private bathroom are available on each cabin. It’s your surprising when relaxing in your own cabin and enjoying the spectacular beauty of limestone mountains, caves and islands through the cabin’s window. Moreover, you can watch the fish together with jelly-fish swimming under the sea water. When the sun sets, climbing up to the deck and enjoying a wonderful starry night may allure all of visitors.